Versachem 15339 Dielectric Connector Grease - 3 oz. Versachem Dielectric Connector Grease is a high performance, 100% silicone dielectric compound that enables boots to be removed from spark plugs and distributor caps after long exposure to high energy ignition systems and hot engine temperatures. Use on all electrical connections to prevent electrical power from migrating between circuitry. This OEM (Original Equipment Manufacturer) specified, waterproof, non-flammable formula is corrosion resistant, hi-temp sensor safe, resistant to alcohol and ketone, and resists arcing and voltage leakage. Works best on spark plugs, battery terminals, distributor rotors, distributor boots, headlight and taillight sockets, electrical connections, alternators, electric control modules, ignition coil boots, marine electric connections, trailer hitch connections, and light bulb sockets. Translucent in color, with a temperature range of -65F to +400F. Works best on spark plugs, battery terminals, headlight sockets, electrical connections, etc. 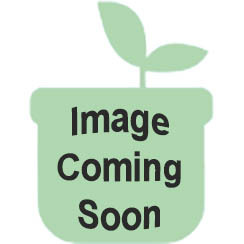 You're reviewing: Versachem 15339 Dielectric Connector Grease - 3 oz.